Lucie Franková worked at AMO as a Project Assistant. Simultaneously, Lucie works for the Centre for Human Rights and Democracy within the organization People in Need. She completed her BA in Philosophy, Politics and Economics at the University of York in Great Britain, her MA in International Relations at the IBEI institute in Spain and MSc in International Trade and Regional Studies at MUP in the Czech Republic. During her studies, she participated on a yearly international Exchange at the university Tecnológico de Monterrey in Mexico. Lucie is interested in the topic of human rights, in particular in the regions of East Asia, Middle East and Latin America. She occasionally works as a translator from English and Spanish. 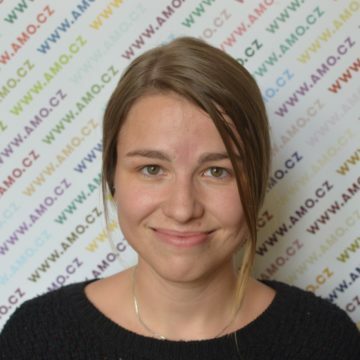 She cooperated with AMO between August and December 2017 on the international project Chinfluence – mapping Chinese influence in Central Europe.